This post is a selective look at Paul Feyerabend, called the worst enemy of science by a 1987 Nature essay. The topic relates directly to the preceding posts on Postmodernism and Thomas Kuhn and is aimed at a discussion of how misunderstood science and misunderstood criticism of science has impacted business and technology. Feyerabend’s direct influence outside of the extended world of philosophy might be seen as fairly limited. But his indirect influence may exceed that of Thomas Kuhn. Unlike Feyerabend, Kuhn was never quoted by a pope. 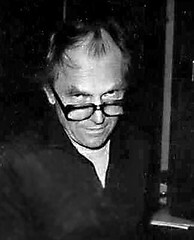 Feyerabend (1924-1994), a philosopher of science at UC Berkeley for 30 years, was famous for a theory epistemological anarchism – though he doesn’t use that term – which entails a rejection of scientific methodological rules. Specifically, Feyerabend claimed the consistency criterion in scientific theory selection is biased toward orthodox views, correct or not. Further, he faulted science for dogmatic falsificationism. I.e., unlike in mathematics, in science a theory very rarely is consistent with all relevant observations. He later expanded this to a categorical rejection of Popper’s falsifiability/demarcation theories and Popper’s critical rationalism in general. Whether Feyerabend meant to imply any degree of social anarchy in his 1975 Against Method: Outline of an Anarchistic Theory of Knowledge is debatable. But a vast range of audiences who viewed science as a flawed method or as an institution in league with corporate, government and military demons found strong justification in it for their existing anti-science positions. As with Kuhn, Feyerabend chose provocative language that sounded much more radical outside of philosophy of science than within it. Even for that narrow audience, the language of Against Method was radical enough, and became more so later. As with Kuhn, the most common criticisms of Feyerabend’s thesis of Against Method (as opposed to the provocative prose he embedded it in) fail to grasp its limited scope, misunderstand it, and refute a caricature of it. Unlike Kuhn, Feyerabend seems to have thoroughly enjoyed the corresponding fame and infamy, and to have run with it. Feyerabend’s theories expanded in scope, becoming more sociological, and more political. 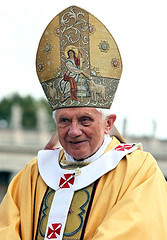 He frequently reversed positions, reversal ultimately becoming core to his philosophy. At times, Feyerabend is hard to argue with. He’s got good points regarding falsificationism and modern scientific theories enduring some inconsistent observations. Elsewhere his case seems weak. He opportunistically redefines science between method and institution to suit his needs. He builds a straw man from claims that science believes it creates facts as opposed to models. Whether he was right or wrong or even cared about such distinctions isn’t terribly important to his impact on popular conceptions of science and popular understanding of criticism of science, which was enormous. I’ll leave you with a handful of other Feyerabend quotes from the ’70s and ’80s, some conciliatory, some shocking when removed from their context, some fiendishly provocative regardless of original context. Many of the sentiments – or the exact words – will sound familiar today, now core to religious, pseudoscientific, new age, motivational, and occasionally business management strategies. 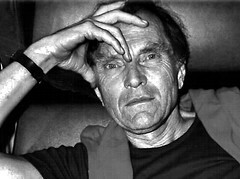 For that Paul Feyerabend deserves praise or blame. Photos of Paul Feyerabend courtesy of Grazia Borrini-Feyerabend. Used by permission. This entry was posted on August 7, 2012, 12:46 pm and is filed under Philosophy of Science. You can follow any responses to this entry through RSS 2.0. You can leave a response, or trackback from your own site. Feyerabend (1924-1994), a philosopher of science at UC Berkeley for 30 years, this comment sentence I already find myself forming an opinion. LOL Philosopher and Berkeley! Mmmmh.